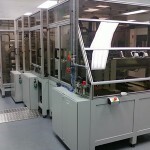 Pharmeceutical Automation, from EBS Automation. 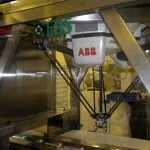 EBS Automation works closely with pharmaceutical manufacturers and pharmaceutical contract packagers to provide special purpose handling, packing and filling systems that meet the stringent requirements of the pharmaceutical sector. Our strict project management standards and operating procedures ensures that clients receive a machine solution that not only complies with all statutory regulations and safety requirements but is also delivered on time, within budget and is accompanied by copies of the machine manual and all documentation.